Blissful Basil focuses on bringing out the best flavors of whole foods and features more than 100 plant-based dishes that will delight vegans, vegetarians, and meat-eaters alike. This is a cookbook for anyone in search of an accessible way to cook and enjoy more delicious, health-giving meals. Make your table a blissful place where wonderful foods rejuvenate your body, delight your palette, and enhance your well-being. With Blissful Basil, each meal is a new opportunity to choose foods that are as beneficial as they are delectable. Ashley Melillo believes in enjoying a wide array of wholesome foods in order to thrive—physically, mentally, and emotionally. For her blog, Blissful Basil, she finds innovative ways to use plants for fun, flavorful dishes that keep her readers coming back. 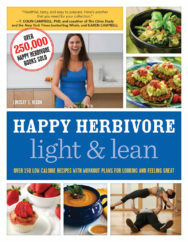 Her gorgeous debut cookbook brings brand-new recipes, plus a handful of signature dishes, from her kitchen to yours. Blissful Basil focuses on bringing out the best flavors of whole foods and features more than 100 plant-based dishes that will delight vegans, vegetarians, and meat-eaters alike. What’s more, most of the recipes are free from gluten, soy, and refined sugars. 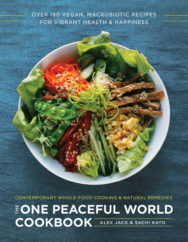 Blissful Basil offers a vibrant journey through vegan cooking, where delicious plant-based foods become the colorful foundation for meals that nourish the body and delight the senses. When you treat plants with love and a splash of creativity, you’ll discover dishes that are flavor-packed and satisfying, whether it’s a quick breakfast or a savory dinner. Ashley Melillo is the writer, photographer, and recipe-creator behind Blissful Basil, a blog dedicated to unearthing the happiest side of life through wholesome, plant-based foods. A school psychologist by day and a vegan food blogger by night, Ashley is fascinated with the way that diet and lifestyle choices affect physical, cognitive, and emotional wellness. 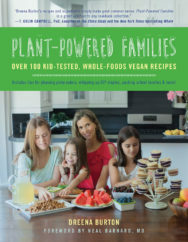 She incorporates a wide array of natural, health-enhancing ingredients into her recipes with the hope of guiding others on their path towards improved well-being all while enjoying delicious food (read: you can have your health and eat cake too!). 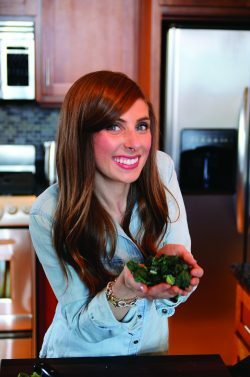 Ashley holds a Certificate in Plant-Based Nutrition and her recipes have been featured in Women’s Health, Redbook, The Huffington Post, and Shape, among others. She lives in Chicago with her husband, Dan, and orange tabby cat, Jack. Dimensions: 7 x 9 x .676 in.